Whether you’re planning a honeymoon, romantic getaway or anniversary trip, Bora Bora needs to be at the top of your list, and here’s why. This island paradise is nestled in The Islands of Tahiti – and it’s everything you’ve ever imagined a tropical paradise to be. Located deep in the South Pacific, the island of Bora Bora is largely secluded, which adds to the romance factor. Here, you’ll find clear blue water, warm white sand beaches and iconic overwater bungalows. The island is mostly untouched, so you can connect with your significant other without the distractions of the outside world. Below is a small sampling of the honeymoon packages that Bora Bora has to offer. Each one includes round-trip airfare from Los Angeles and features everything you need for an unrivaled romantic getaway. Take an overnight flight from Los Angeles and arrive in Tahiti the next day. 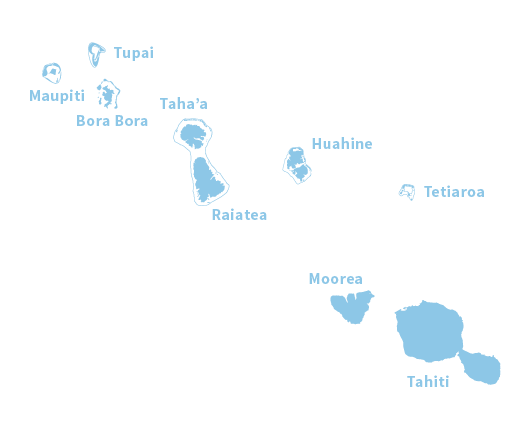 Spend 10 Days at Royal Bora Bora and Royal Huahine. In Bora Bora, you will stay in a newly opened budget hotel in a standard room. The hotel is on the main island of Bora Bora, so you can go walking, hiking, biking and start discovering the island all on your own time. It is easy to take tours or go to local restaurants, too. In Huahine, called the “Garden Island” due to its lush scenery and peaceful atmosphere, spend four romantic nights in a deep overwater bungalow at the Royal Huahine. If you pre-pay the meals at both hotels, the cost is $125 per person per day extra for an American buffet breakfast and three-course dinner (all taxes and service charges included). Priced from $2,799 per person for a 10-day holiday. 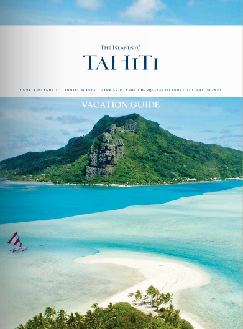 Take an overnight flight from Los Angeles on the award-winning Air Tahiti Nui and arrive the next morning. 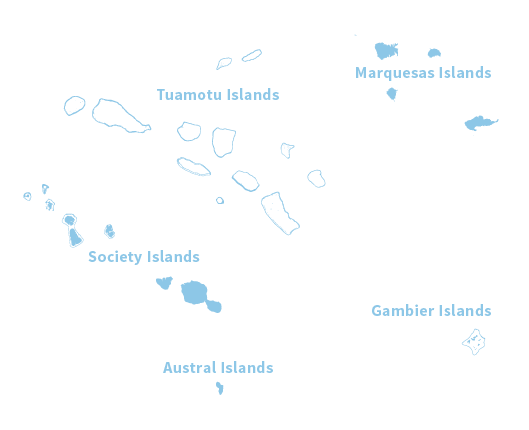 From here, you will be transferred to the pier and your round-trip ferry to Moorea is included. Spend three nights at the charming Sofitel Ia Ora Beach Moorea, which boasts the best beach on the island and is near to local restaurants and convenience stores. Then, fly to Bora Bora and spend three more nights at the magnificent Conrad Bora Bora Nui, upgraded by the Hilton after a multi-million dollar renovation. A 200-euro credit (not refundable if not used) will be posted to your account upon check-in. Take a romantic cruise or be adventurous and try out a jet ski or snorkel safari. Spend one more night in Tahiti and pick up gifts and souvenirs at local shops before heading back on a day flight from Tahiti to Los Angeles. Priced from $3,799 per person. If adventure is more your speed, come to the InterContinental Moorea Resort & Spa as well as the InterContinental Bora Bora Resort & Thalasso Spa. This exclusive honeymoon package lets you explore two amazing islands for the perfect blend of luxury and adventure. You’ll receive flowers and champagne upon arrival to your Premium Junior Suite Bungalow as well as daily breakfast for two. Your visit also includes a 4×4 Jeep Safari adventure and an eight-hour car rental. Priced from $6,090 per person for seven nights. Looking to get off the beaten path for your honeymoon? 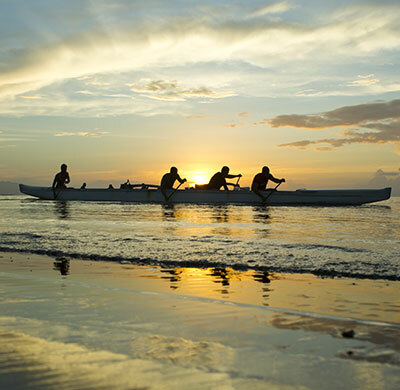 Breakaway for a Taha’a dream honeymoon with five nights at the Le Taha’a Island Resort & Spa in an overwater bungalow, free daily breakfast for two, a canoe breakfast, jet ski tour, a couples massage, snorkeling tour and more. Priced from $3,650 per person. Looking to go bigger? 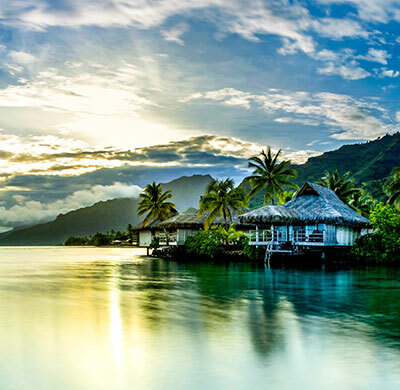 Take on a multi-day Tahiti, Moorea and Rangiroa Honeymoon package that includes flights from Los Angeles, a ferry to Moorea and three nights in a Premium Overwater Junior Suite at the Intercontinental Moorea Beach Resort and Spa. Priced from $3,498 per person. While The Islands of Tahiti offer many ways to celebrate your new union, saying “I do” in our islands offers a truly unique experience, too. The Islands of Tahiti can make your special day the island wedding you’ve always imagined. 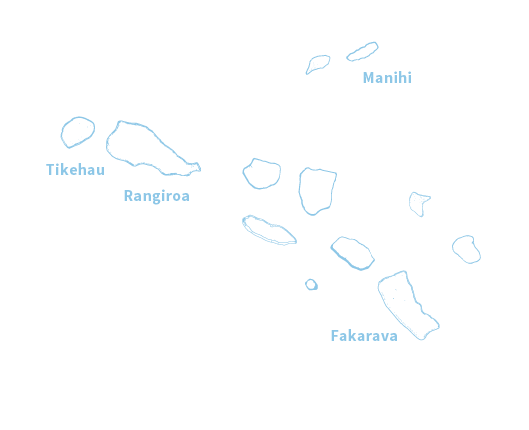 If you’re interested in tying the knot on The Islands of Tahiti, French Polynesia has actually passed several new laws making it easier for foreign nationals to get married in paradise. If you are planning a wedding, an elopement, or coming for a wedding anniversary, a Polynesian wedding ceremony is as romantic and enduring as your love. For more packages, which are updated regularly, visit our Honeymoon Packages page. See you soon!